Arsenal have confirmed the news that Denis Suarez has joined the club on loan until the end of the season (via Arsenal.com). It has been the likeliest outcome for several days but finally, Denis Suarez’s transfer to Arsenal has been confirmed. The 25-year-old FC Barcelona man has long been a rumoured Arsenal target given the club’s lack of financial clout this window. Suarez has joined the Gunners on a six-month loan deal with an option to buy in the summer just after signing a new contract extension at the Camp Nou. Suarez is a former Manchester City player who joined FC Barcelona in 2013. After that, he was managed by Unai Emery while the pair was at Sevilla. He has made eight appearances for the La Liga side this season after falling down the pecking order at the Camp Nou. Hopefully, he will recapture his form at the Emirates in the coming months in a loan deal which is said to be worth €2.5 million. It’s good to see that this has finally been announced. 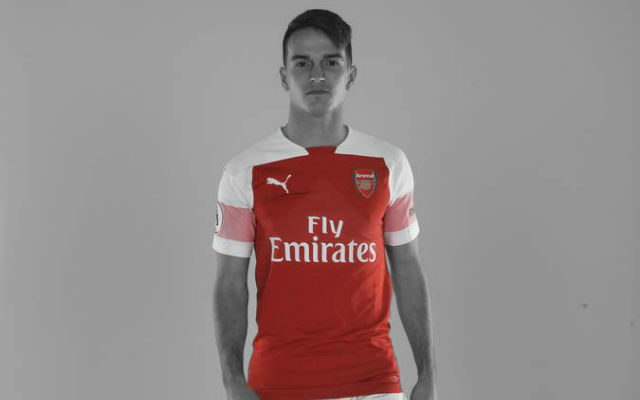 Denis Suarez’s career could go either way at Arsenal so it’s great that the club has secured a loan deal with an option to buy if things don’t go as planned for him. Let’s hope he impresses in the coming weeks and months. Suarez will wear the number 22 shirt at the Emirates, previously occupied by Jeff Reine-Adelaide.